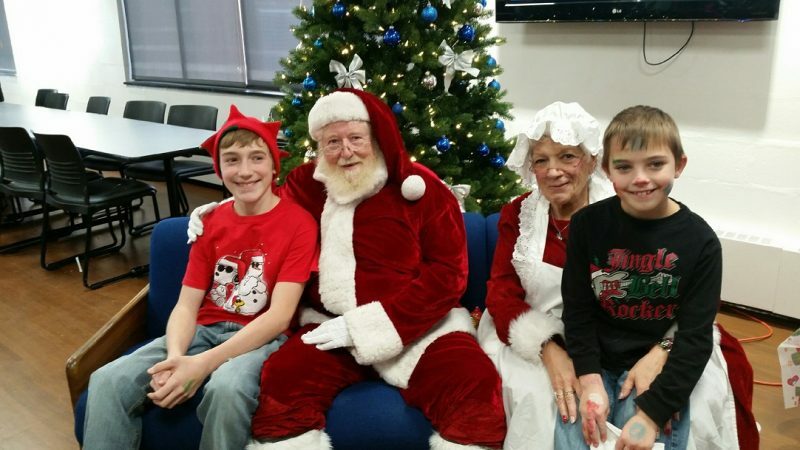 DUBOIS – Santa and Mrs. Claus will once again make a stop at Penn State DuBois this Christmas season for the 24th annual Breakfast with Santa. Timeslots for breakfast will be available between 8 a.m. and 10:15 a.m. on Saturday, Dec. 8, in the Hiller Building Student Union. The cost is $4 per person, which benefits the Make-A-Wish Foundation. Sponsored by the Student Government Association, the morning will include breakfast, games, activities and the opportunity for children to meet Santa and Mrs. Claus and tell them what they want for Christmas. To make reservations and secure a time-slot, visit http://dubois.psu.edu/santa. Reservations can also be made by contacting Rebecca Pennington, director of Student Affairs, at 814-375-4766 or e-mail rxs163@psu.edu.